From ages 10-24, I was a frequent re-reader of books. In fact, there are a number of books that I’ve reread five or six times. * But about six years ago, I made a conscious effort to broaden my reading, and since then I’ve reread relatively few books (probably fewer than ten). There are three reasons for this: a) I’m a better reader now, so my memory of the books I’ve enjoyed is sharp enough that I don’t need to refresh it; b) it takes time…I’d just rather read something new, or at least a different work by the same author; and c) whenever I try and reread books that I used to love as a child, I frequently find them to be excruciatingly bad. However, in the case of Jonathan Strange and Mr. Norrell I made an exception, because I remember literally nothing about the book. I know that I read it, because I own a copy. And I even remember the summer when I read it (it was the summer of 2005, so almost ten years ago). And I remember that there are lots of footnotes. Everything other than that is blurry. So I came to it almost fresh this time. And I am loving it. This is one of the best works of fantasy I’ve ever read and one of the best works of historical fiction. Normally, I tend to hold historical fiction in disdain, because I feel like it’s a bit weird to pretend that you know what the past would’ve looked like. I mean, it’s not like science fiction and fantasy: you can’t just make it up. The past actually happened. It existed. And if you don’t get it right, then you’re perpetuating misinformation. Also, I find that historical fiction often feels a little flaccid. There tends to be lots of unnatural exposition aimed at modern audiences. Which is so strange and unnecessary, since modern audiences are, with relatively few problems, perfectly capable of reading novels that were actually written in the 19th and 18th centuries. And then there’s the dialogue and writing style. A historical novel can either imitate the books of period wherein its set or it can adopt a relatively modern style. Either way, though, feels so artificial to me. However, it’s worth noting that my bias against historical fiction is a bit contrived, since some of the world’s most famous works of literature are historical fiction. Most notably, War and Peace was written generations after the Napoleonic Wars. And Journal of a Plague Year, Middlemarch, Vanity Fair, and Little Dorrit are also historical fiction. In those cases, I’m so far removed from the time of composition that I allow myself to forget that what I’m reading is more a product of research than experience. 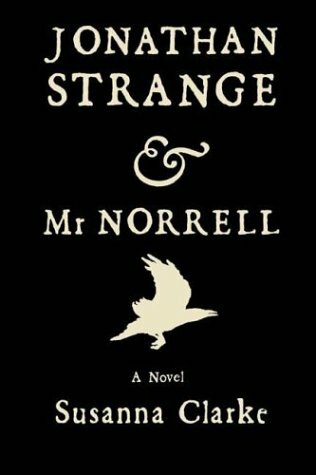 But enough asides: Jonathan Strange and Mr. Norrell is and was an incredibly popular novel, which is why I haven’t really summarized it. Briefly, it’s set during the Napoleonic Wars, and it’s about two magicians who rise up roughly contemporaneously and bring the practice of magic back to Britain, before having a falling out with each other over the best way to guide the development of the field. However, in its essence, it’s pretty different from a typical Romantic novel. The book is not energetic. It’s not full of colorful portraiture and outsized gestures. There are no love triangles or women locked in the attic. There are no charming absent-minded father figures who love to rescue orphans with a heart of gold. That’s the heart of the book. Magic is an isolating, hermetic discipline and it does pervert its practitioners. But it’s also an art. And if a person is capable of perfecting that art, then they’re also capable of tremendous passion and clarity of insight. Magic brings out the worst in Norrell, but it’s also the source of everything (literally everything) in him that is good. Anyway, I’m about halfway through the book, and I’m hooked. *Off the top of my head: Villains by Necessity; Ender’s Game; Atlas Shrugged; The Fountainhead; Caves of Steel; The Moon Is a Harsh Mistress; Santiago: A Myth of the Far Future; The Complete Robot; The Past Through Tomorrow; the A Song of Ice And Fire series; Belgarath the Sorceror and Polgara the Sorceress; and a number of other novels by Mercedes Lackey, Anne McCaffrey, David Weber, Lois McMaster Bujold, Orson Scott Card; Mike Resnick; Asimov; Heinlein; and god knows who else. Is it okay not to have opinions on things?